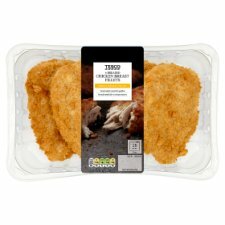 For stress free teatimes rustle up our whole chicken breast fillets. Generously coated in golden breadcrumbs for a crispy texture. Oven cook in 25 minutes. 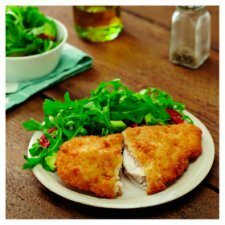 These tasty breast fillets make a quick and easy family favourite. 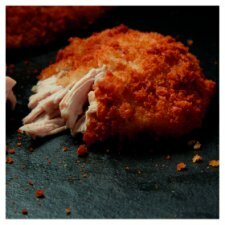 For a tasty treat serve your chicken fillets in soft burger buns with lettuce, tomato and a dash of hot sauce. Click the Recipes tab at the top of this page to find inspiration for delicious homemade sides. Expertly selected for freshness and quality. Instructions: From chilled: 200°C/Fan 180°C/Gas 6 23-25 mins Place on a baking tray in the centre of a pre-heated oven. Instructions: From frozen: 200°C/Fan 180°C/Gas 6 38-40 mins Place on a baking tray in the centre of a pre-heated oven.